The frequency of crises is increasing. This increase is due to many factors including climate change, financial mismanagement and poor political decision making to name a few. Societies are more connected than ever before with the various forms of social media adding to the 24/7 news cycle. Unfolding crises are covered in minute detail and instantly shared. Much of this information is accurate but a lot is not, therefore leading to increased confusion. When a poor response occurs, senior leaders are targeted. What areas do senior leaders need to focus on to achieve the best possible outcome from the response they are leading? How do they prepare themselves? Based on over 15 years of work identifying the causes of poor responses to crises, four themes have emerged: poor planning, inadequate use of information and intelligence, ineffective resource management and deficiencies in certain senior leadership behaviours. This book examines actions that a senior leader can take to rapidly improve their expertise in these critical areas. It is designed to share knowledge and experiences that can accelerate a senior leader’s preparation to lead in a crisis. Preparing to Lead in a Crisis is a practical and essential guide to the development of senior leaders or those aspiring to such positions. pxv-xv Development of a national energ y policy in Australia in 2017 required crisis management skills. pxv-Development of a national energy policy in Australia in 2017 required crisis management skills. 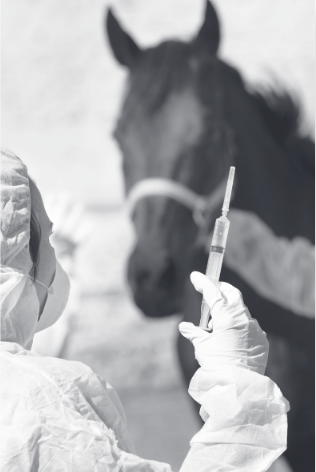 p23-Veterinarian working to contain equine influenza.